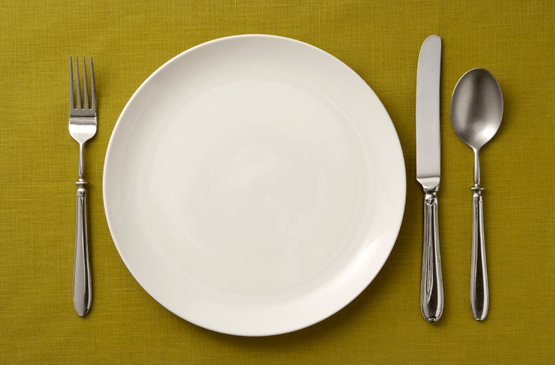 Fans of intermittent fasting might skip a lot of meals—or pack a day's worth of calories into one meal—all in the name of being healthy. But is it? It flies in the face of almost all conventional nutrition advice: Instead of eating small, balanced, healthy meals and snacks over the course of the day to keep your blood sugar even and metabolism humming, you dramatically (like, really dramatically) space out your meals—or eat all your day’s worth calories in one sitting. And adherents of intermittent fasting, or IF as it’s often called, swear by its healthy results. Even if the practice sounds like it can’t possibly be. The practice of intermittent fasting takes many forms. Some people eat all their daily calories within a certain window, say four hours. Some eat just one meal a day. Others eat normally most days of the week, then drastically reduce their calories on certain days. That “repair” mode, the thinking goes, is when the body replaces mitochrondia—the tiny cells that produce the power that keep us going. Mosley points to studies that suggest cutting back on calories may extend healthy life in animals, and argues that intermittent fasting helps speed up one’s metabolic rate. The Fast Diet advocates a plan of eating normally five days a week, then cutting back to 500 or 600 calories on two fast days. Dr. Mosley started following it after he was diagnosed as diabetic. In eight weeks, he claims, he lost 20 pounds, lowered his body fat from 28 percent to 21 percent, normalized his blood sugar, and stayed off medication. Now he recommends intermittent fasting (and his website) to anyone looking to lose weight or even out insulin levels. He cites human studies that back him up, including a 2013 study published in the British Journal of Nutrition that argued that “intermittent energy restriction may result in greater improvements in insulin sensitivity and weight control than daily energy restriction,” as well as a 2013 study in Nutrition Journal that found alternate-day fasting (meaning 25 percent of normal intake on fast days) can be effective for weight loss and cardio protection in obese people—though the researchers in both cautioned that further research is needed into the long-term safety and effectiveness. But plenty of people aren’t waiting for more research. Alex Wang works in finance in New York and works out hard most days of the week. He found intermittent fasting a few years ago after trying a lot of different programs to shift his body composition and energy level. He stumbled into the world of intermittent fasting blogs—The IF Life, Eat Stop Eat, and Lean Gains—and eventually settled on the Warrior Diet, in which he eats just one meal a day.